Are Teenagers Old Enough to Drive? 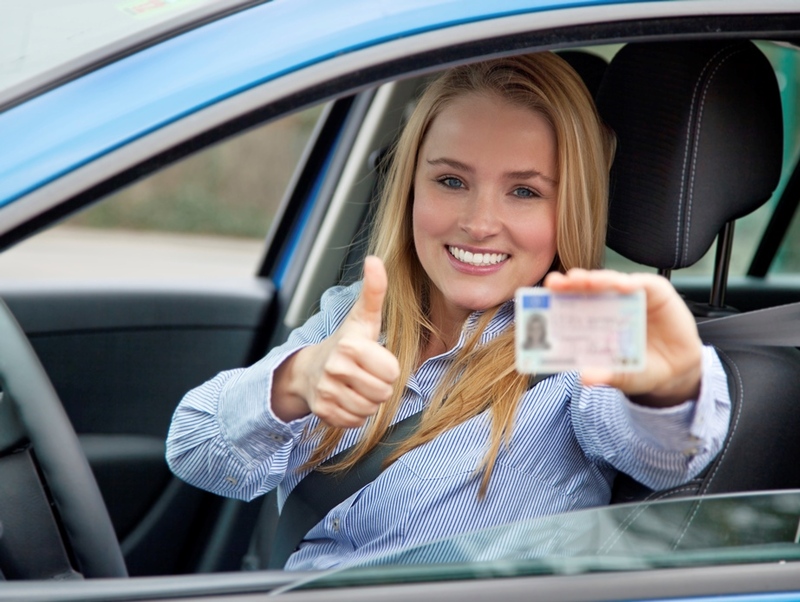 In Pennsylvania, 16 year-olds who pass a permit test are able to receive their driver’s permit. 6 months later, teens are eligible to take their driver’s test, and ultimately get their license. These rules vary slightly from state to state, but the overall rule is that drivers in the United States are eligible to get their driver’s license during their teenage years. Some people feel that this is appropriate, but other feel that 16 and 17 year-olds are much too young to be driving. Are teenagers old enough to be driving? Are younger drivers more likely to get into accidents than older drivers? Does texting play a role in the number of crashes that teens get into? According to the Centers for Disease Control and Prevention, 2,270 teenagers aged 16-19 were killed in car accidents in the year 2014. Car accidents are the leading cause of death for this age group. This is an extremely high amount of deaths related to an activity that many teens engage in every day. According to the IIHS, the rate of deaths by car accident is three times higher for the 16-19 age group than it is for drivers aged twenty years or older. This data suggests that younger drivers are not yet mature enough to have their licenses. If teenaged drivers are three times more likely to be involved in fatal accidents, then maybe these drivers should not be driving on the roads after all. Now, this data could all be due to chance, but the data discovered by the IIHS shows that the younger the driver is, the more likely it is that he or she will be involved in a fatal crash. The data collected seems to be highly correlational. It is possible that younger drivers are more likely to be involved in car crashes due to distracted driving. One observational study, conducted by the CDC, examined the distracted driving rates in the United States versus the rates in several other countries. The United States, by far, showed the highest rates of distracted driving. This is yet another reason why 16 might just be too young for drivers to get their license. One leading cause of distracted driving today is the use of cell phones while driving. Also according to the CDC, about 31% of teenage drivers reported using their phones to send text messages or emails while driving. This means that approximately one-third of teenagers on the road admit to not having their full attention on the road while driving. This does not make for safe driving conditions for anyone, not just teenagers. More recently, a survey conducted by the AAA found that many teens seem to be waiting longer before they get their licenses. In fact, in a 2013 survey, only 54% of eighteen year-olds reported as having their driver’s license. This result is unexpected, due to the fact that most teens seem to want to get their licenses as soon as possible. According to the survey the reasons that teens are waiting include: the high price of gas, the fact that most teens are still able to get around without driving, and the fact that they did not own a car to drive even if they wanted to. Whatever the reasons may be, less teenage drivers on the road is an overall positive thing. It might be time for more teens to hold off on getting their licenses. This entry was posted in Uncategorized on October 18, 2016 by Madeline Dittrich. Just yesterday I got into a car accident while being the passenger in a car coming back to State College. My friend was driving and we rear ended someone while merging onto a highway. While everyone was okay, it was terrifying being in the Bronx with no adults and cops on the side of a highway. It’s times like these where it may be a bad idea for teens to drive such long distances without an adult. My friend and I literally had to no idea what to do or say. We didn’t understand the whole insurance aspect of it and it scared us to death. I know I’d sound like a hypocrite saying this, but I feel like teens should not be able to drive long distances alone. I would consider myself a good driver despite the fact that I failed my road test twice. Since cell phones are such a distraction and a danger, there is a device you can install into your car to shut off cell phones while the car is turned on. Here is the link to an article about that device. Would I like having it? Probably not. But should people have them to stay safe on the roads and not distracted? Yes. I didn’t get my license till I was 18 as the whole thought of driving kind of freaked me out and I’m kind of glad I waited. I know I was still a teenager, but even those two years really helped me to mature a lot. I definitely think you have some really good points as to why teens shouldn’t be allowed to drive. I took a driving course in which I had to learn all of those scary statistics and watch those horrible videos of families who lost their teens in driving accidents. I don’t know if it would work on everyone, but it definitely frightened me! Maybe drivers education should be mandatory to getting your license. It is also interesting to look Europe’s driving requirements, https://en.wikipedia.org/wiki/List_of_countries_by_minimum_driving_age they are mostly 18 years old. I believe that most kids over there learn how to manage their drinking before they learn how to drive. I wonder if that would be more effective over here too? As someone who only got their license at age 18, I found this topic to be interesting, I remember when I was 15 or 16, I was absolutely terrified at thought of getting behind a car, when many of my friends would already have their drivers licenses and cars. The data that you complied is eye opening. You touched on this in your blog, but I think the main reason why teen drivers are more likely to be in an accident is because of distractions like cell phones. It would’ve been awesome if there was a study that was conducted across various age groups that accounted for third variables like this. Is the inexperience the problem or the distractions? Many people could argue that senior citizens pose the greatest risk to motorists because of declined reaction times that come with age. One way to go about this dilemma would be to conduct a full driving test when renewing your license. Would software that turned off your phone when the car was moving improve driving statistics among teenagers?